I pitched this story to Envato Tuts+ back in August 2014 but have been too busy running WordPress and plugin updates on all my sites to find time to write it (well, and I had brain surgery). 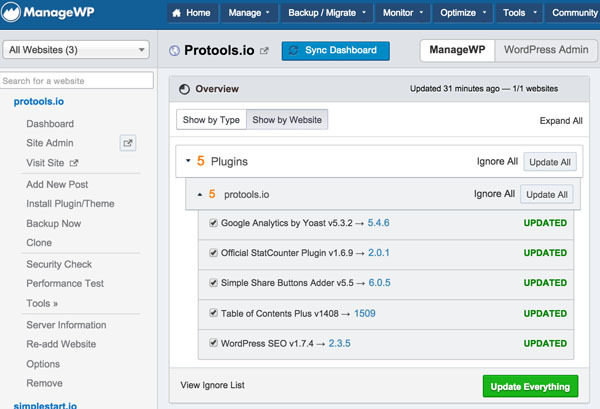 Over time, I grew increasingly curious about WordPress network managers and whether they might save me time—ManageWP does. 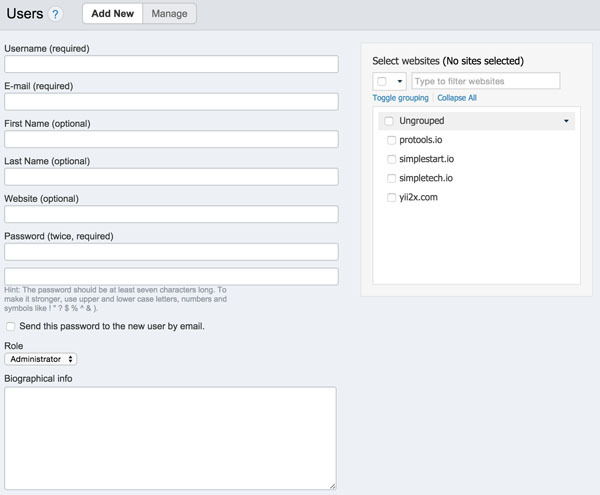 It's a well-built administrative aggregator that lets you manage and post to your sites all from one service. With more than a dozen WordPress updates this year and the cascading accompaniment of plugin upgrades, it becomes more and more time-consuming to keep up—especially if you run a lot of websites like many readers. Or, let's say you find a great plugin and want to install it on a dozen of your client's websites? Generally, there goes a couple of hours. 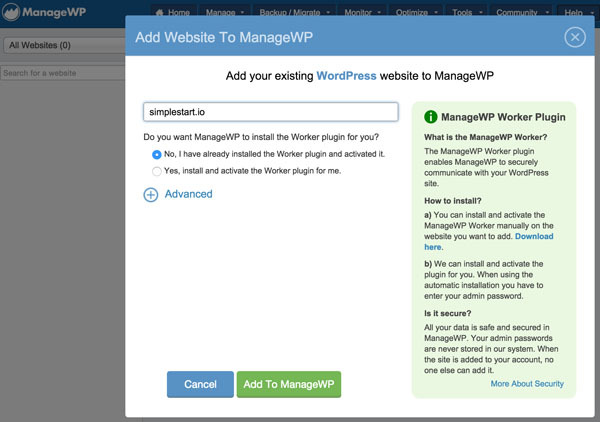 With ManageWP, you can upgrade WordPress and install plugins across your networks with a few clicks. 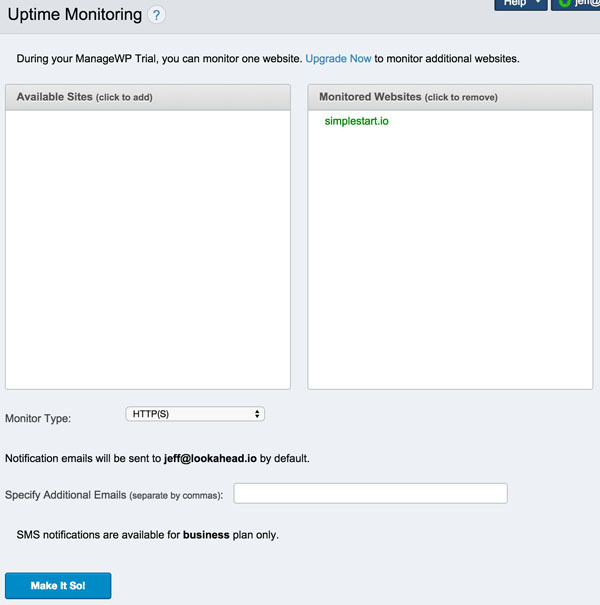 In this tutorial, I'll guide you through signing up and using the service in some common scenarios across your site network, such as updating WordPress, installing plugins, managing users and roles, running backups and more. Before we get started, please remember, I do try to participate in the discussions below. If you have a question or topic suggestion, please post a comment below or contact me on Twitter @reifman. You can also email me directly. 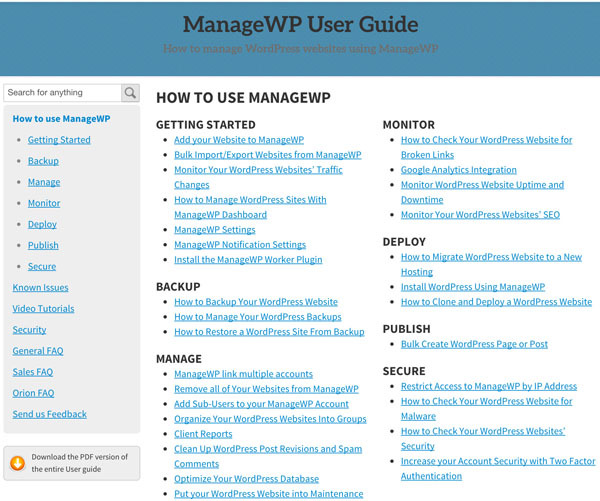 For up to five websites, ManageWP is free. There's a two-week trial period in which you'll have access to its premium feature set. There's also a no-questions-asked 30-day money-back guarantee. Based on how $loaded$ you are, you can pay monthly, annually or biennially to save money. You actually have to use the calculator to pick your initial plan and register. The Register & Checkout button is used to sign up. It's the only signup entry point I found. Also, as a blogger, I appreciate good affiliate programs and was impressed with ManageWP's offering as well. If you're intrigued, I posted a bit more about it on my blog. From your ManageWP dashboard, enter your site's domain name and select No, I have already installed the Worker plugin and activated it. And, you'll be connected and ready to go. 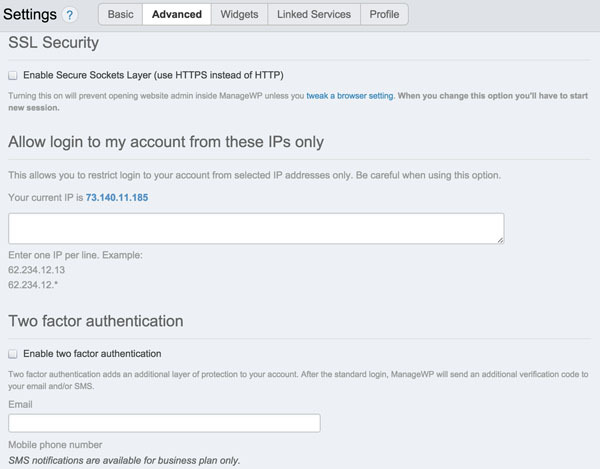 There's an optional security check which you can run after connecting each of your websites. 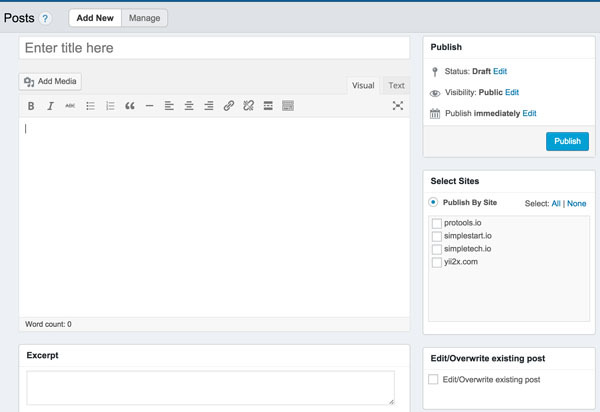 I've done a lot of work with WordPress and written a lot about WordPress for Envato Tuts+. 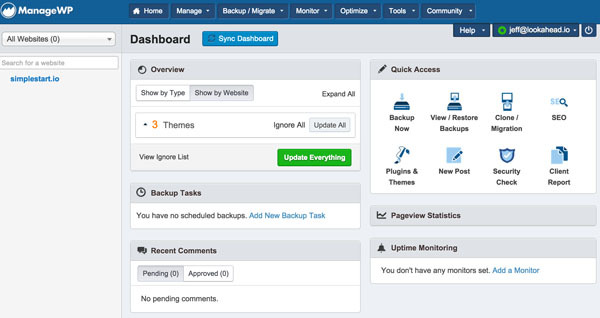 ManageWP impressed me a great deal with its straightforward user experience and its incredibly useful set of features. Once I gained a sense for the quality of the service, I felt comfortable sharing my site authentication with the service and quickly added more sites to the network. 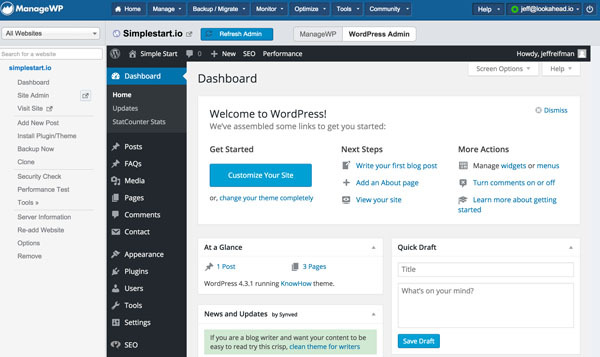 ManageWP performs a number of highly useful tasks for WordPress consultants and clients. These are all things I generally do by hand today—or procrastinate doing. 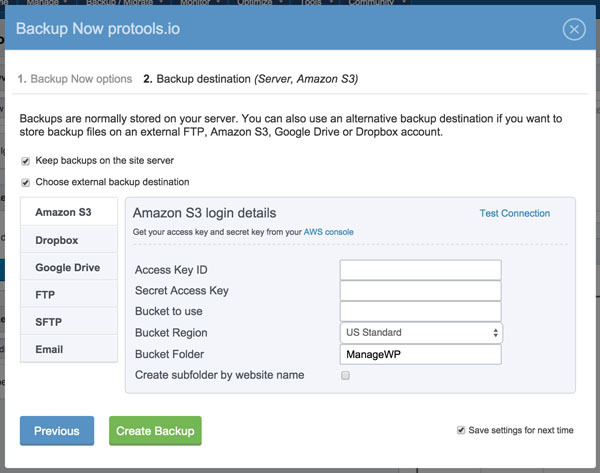 I especially like how the service allows you to target a variety of locations for the backup to live, including Amazon S3, Dropbox, Google Drive, FTP and even your email. Recently, I noticed an ad on Tom McFarlin's site for the Bloom plugin. I'd been procrastinating installing an email opt-in form on my websites. I trust Tom's judgement (he's kind of my boss) so after reviewing the Bloom website a bit, I decided to install it on four sites. Honestly, this is one of the most awesome features of ManageWP. 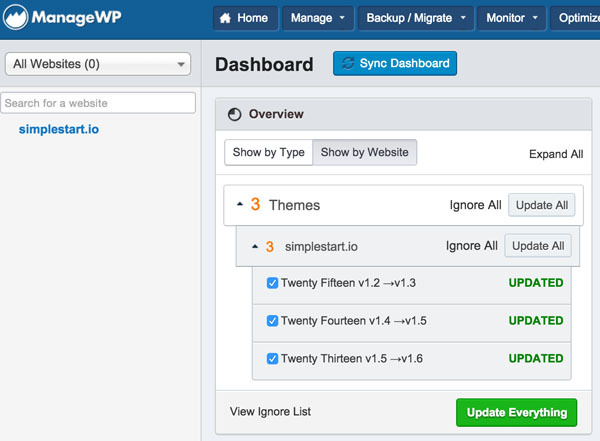 If you need to post content to a few of your sites—say a vacation or service change notice—ManageWP allows you to post directly from its interface to any sites registered in your network. ManageWP's premium plans offer a variety of other features which I'll run through briefly. 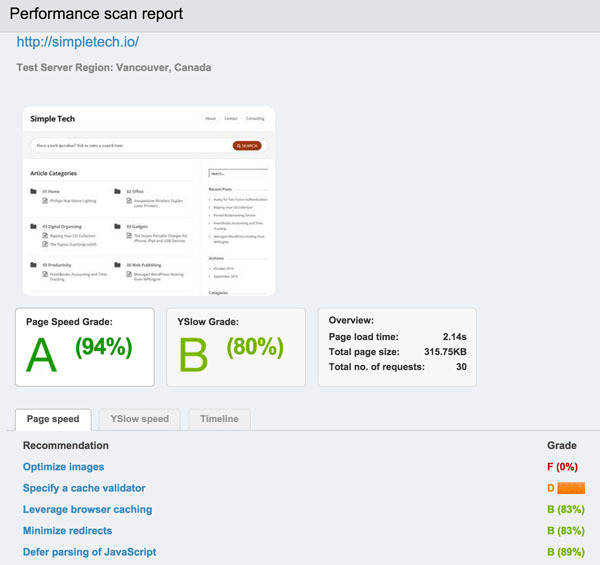 There are also SEO reports. I ran a basic one which you should be able to review here (as the SimpleTech.io site is new, it's probably not the best example). The higher-level business plan is required to receive SMS notifications. 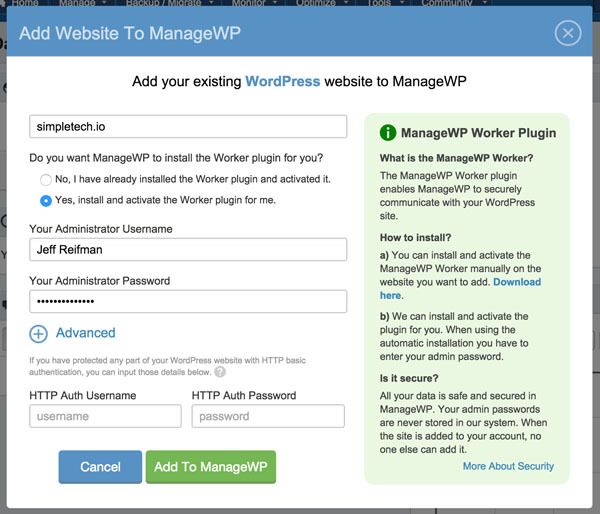 Once you provide access to ManageWP to all of your WordPress accounts, security for your account there becomes essential and vital. You can turn on SSL. You can restrict access except from specific IP addresses. 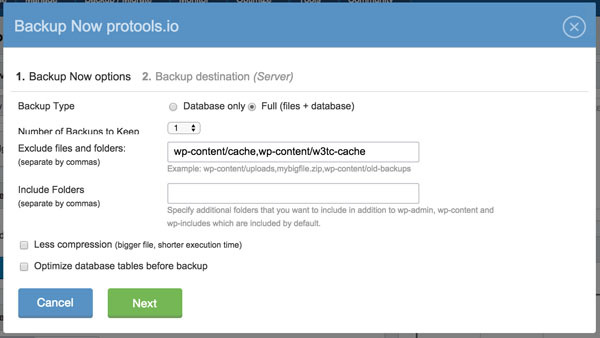 You can activate Two-Factor Authentication (similar to Using Google Two-Factor Authentication With WordPress) but using their own code. Again, you need a higher-level business plan to receive 2FA codes via text. Relying on email for code delivery might be kind of slow. IP access restriction might be a good in-between option. Frankly, I wish I'd investigated ManageWP sooner. It offers everything it promises in an efficient, well-designed, economical service. I'm impressed with its usefulness and ease of use. For me, it's a no-brainer to purchase the standard plan if only for WordPress and plugin update management. I'm not yet sold on the Professional plan—cloning a site required FTP, which I avoid. The Business plan is attractive for its SEO, 2FA SMS delivery and white labeling. What do you think of the service? Baris Unver is going to be evaluating more of them soon. If there's one you want him to explore, post a comment below. Please also feel free to post your questions below. Or you can contact me on Twitter @reifman or email me directly. Please check out my Envato Tuts+ instructor page to see other tutorials I've written, such as my startup series (Building Your Startup With PHP) which I'm looking forward to getting back to now that I'm past my health challenges this year.